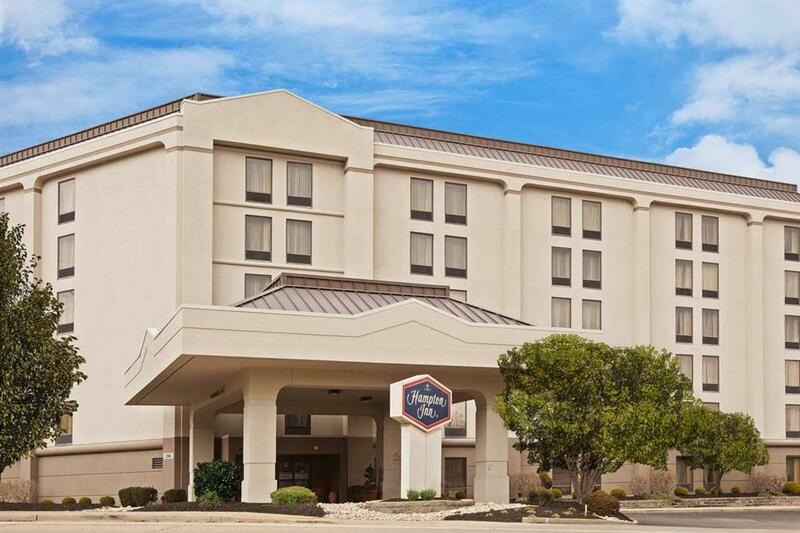 Hampton Inn Cincinnati- Riverfront /Downtown Area/ in Covington Kentucky is situated downtown within walking distance of restaurants and across the river from Cincinnati attractions. Visit Cincinnati during football season to see a Cincinnati Bengals football game at Paul Brown Stadium. Baseball fans will enjoy a Reds game at Great American Ball Park. Both are within a mile of our Cincinnati hotel. Check out the exciting Horseshoe Casino and the addition of The Banks of Cincinnati Entertainment District both downtown and literally just minutes from our hotel. View the thousands of animals from around the world showcased in a million gallons of water at Newport Aquarium. Take the children to explore the Cincinnati Zoo. Visit exciting Newport on the Levee Entertainment District approximately one mile from the hotel along the riverfront for multiple options from bowling to dancing to dining to theatres. Take a short excursion up or down the Ohio River with BB Riverboats. Horse racing additional casinos Kings Island Amusement Park The Creation Museum and more recreation are all only a short drive away. Start your day at the Hampton Inn Cincinnati-Riverfront /Downtown Area/ hotel with the most important meal - breakfast. We offer Hampton*s free hot breakfast to our guests every day. Even if you*re in a rush don*t miss the most important meal of the day. On your way out simply grab one of our free Hampton On the Run Breakfast Bags available Monday to Friday for a quick healthy meal to go. Retreat to this 151-room hotel near downtown Cincinnati offering guest rooms and accessible rooms and a refreshing year-round indoor pool.